Embark on a quest to find the “Write” Stuff! 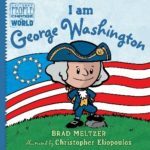 You are invited to join award-winning authors and illustrators at the National Archives on Saturday, June 1st, 2019 to learn about the writing, illustration, and research that go into making a book. The “Write” Stuff is FREE and open to the public! Aspiring authors and illustrators of all ages are encouraged to join the celebration of using research for storytelling. If you are unable to attend in person, you can stream the morning author conversations on YouTube and Facebook Live. This year, we are excited to be joined by L. M. Elliott (Hamilton and Peggy: A Revolutionary Friendship, Suspect Red), Christopher Eliopoulos (the Ordinary People Change the World series), Debbie Levy (I Dissent: Ruth Bader Ginsburg Leaves Her Mark, Soldier Song: A True Story of the Civil War, This Promise of Change: One Girl’s Story in the Fight for School Equality), and Pamela M. Tuck (As Fast As Words Could Fly). The day will start in the McGowan Theater for the Author Conversations session where moderator Zachary Clark (of 826DC) will ask the authors about the role of research in their work. This will be followed by an audience Q&A session where you can ask your own questions and find out everything you want to know about writing and illustration! After a break for lunch, the day will continue in the Boeing Learning Center. There, you will be able to meet with authors one-on-one, as well as staff from the National Archives and 826DC, so you can learn even more about research and writing. Join each featured author/illustrator in a spotlight workshop and choose from a selection of books by our special guests to purchase and have signed throughout the afternoon. Mark your calendars for this incredible opportunity, and don’t forget to register above! We are excited to see you there. Christopher Eliopoulos began his career working for Marvel Comics and has worked on literally thousands of comics. He’s written or illustrated comics including Cow Boy, Franklin Richards: Son of a Genius and Pet Avengers. He’s the author/illustrator of a couple of graphic novels, Cosmic Commandos and Monster Mayhem and illustrates the Ordinary People Change the World series which is being adapted to a PBS animated show for children titled Xavier Riddle and the Secret Museum. Pamela M. Tuck is an award-winning author and mother of 11 children, who credits her writing to her upbringing surrounded by southern storytellers. She began writing in elementary school, and winning her first poetry contest in 2nd grade inspired her to continue writing. She later branched out into writing short stories and plays. She also comes from a family of civil rights activists, and often weaves some of her family’s experiences into her writing. 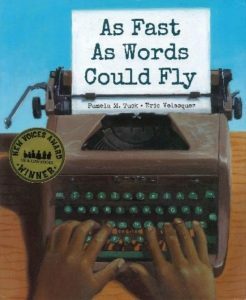 Her father’s experience during the 1960’s school integration inspired the Lee & Low Books New Voices award-winning title As Fast As Words Could Fly. Debbie Levy is the author of more than 25 books of nonfiction, fiction, and poetry for young people, including New York Times best-selling I Dissent: Ruth Bader Ginsburg Makes Her Mark, winner of the Sydney Taylor Book Award and National Jewish Book Award. 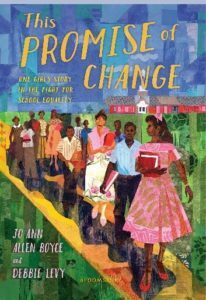 Her 2019 books are This Promise of Change: One Girl’s Story in the Fight for School Equality (with Jo Ann Allen Boyce; nonfiction-in-verse for middle grade), Becoming RBG: Ruth Bader Ginsburg’s Journey to Justice (middle grade biography in graphic novel format), The Key from Spain: Flory Jagoda and Her Music (picture book biography), and a fiction picture book titled Yiddish Saves the Day! Debbie is also the author of Soldier Song: A True Story of the Civil War, a Publishers Weekly, Huffington Post, and Bank Street College Best Book; We Shall Overcome: The Story of a Song, a Jane Addams Award Honor Book and Bank Street College Best Book; and The Year of Goodbyes, a Sydney Taylor Notable Book and Kirkus Reviews Best Book. A former lawyer and newspaper editor, Debbie lives in Maryland with her husband. They have two grown sons. New York Times bestselling author L. M. Elliott was a Washington magazine journalist focusing on women’s issues before turning to biographical fiction and historical novels for young adults. 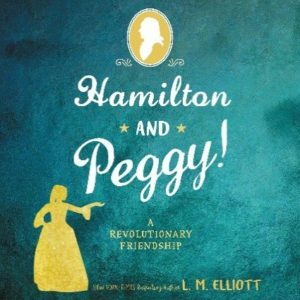 Her latest work is Hamilton and Peggy: A Revolutionary Friendship—an in-depth portrait of the youngest of the Schuyler Sisters made famous by the smash-hit musical Hamilton. Elliott’s other recent works include Da Vinci’s Tiger, about Ginevra de’ Benci, the young poet in Leonardo’s first portrait, displayed in the National Gallery of Art; and Suspect Red, a McCarthy-era story of two teenage boys caught up in the Red Scare’s paranoia, (a NCSS/CBC Notable, TLA’s TAYSHAS List Recommendation, and winner of the Grateful American Book Prize). Elliott is probably best known for the WWII story of a B24 pilot and the French Resistance, Under A War-Torn Sky—an NCSS/CBC Notable, Jefferson Cup Honor Book, Bank Street College Best Book—and its companions, A Troubled Peace (a NCSS/CBC Notable) and Across A War-Tossed Sea (a Jefferson Cup Overfloweth title).